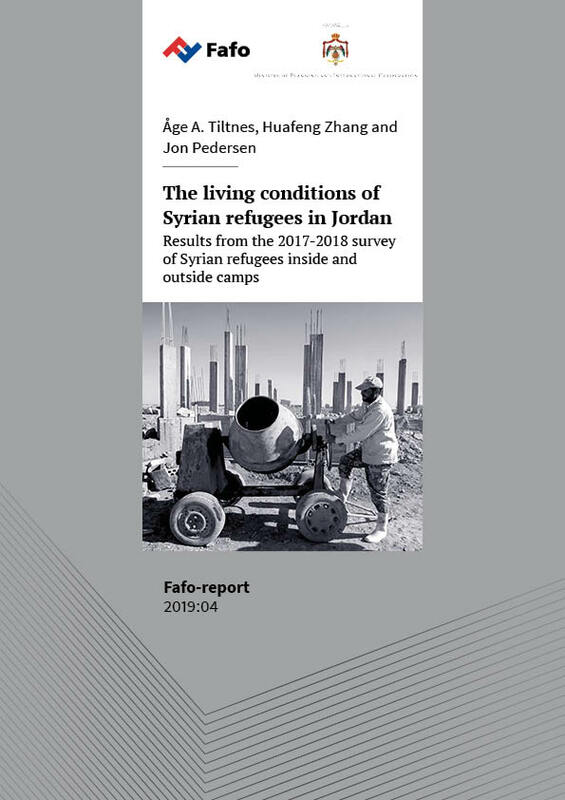 Based on data from a national household sample survey implemented between November 2017 and January 2018, this report describes and contrasts the living conditions and livelihoods of Syrian refugees in six geographic localities: Amman; Zarqa; Irbid; Mafraq; the other governorates taken together; and the refugee camps. Doing so, it finds that the situation of the refugees residing in the first three areas is significantly better than elsewhere. The report also compares the circumstances of Syrian refugees over time and shows that they have improved: educational enrolment is up, labour force participation rates are higher and unemployment lower, housing standards have improved and access to health care is decent. However, large numbers of refugees live in poverty and still depend on assistance and subsidised services.